In order to have an efficient air duct system, it needs to be free from any debris and dirt and it also needs to be whole so that there is no air leakage. If your ducts are damaged in any way, the air is constantly escaping, which means that your furnace or air conditioner has to work harder and longer to maintain the desired temperature. Enter high energy bills. However, you can always have your ducts repaired or replaced. Having leakage free ducts will also help your HVAC system work more efficiently and will prevent its premature failure. The expected lifespan of your HVAC system will be significantly reduced if you make your system work harder than it should. And you’re doing just that by not keeping your filters and vents clean. Dirt and dust build-up restricts the airflow, and restricted airflow means it takes longer to heat up or cool down a room. Dirty filters will also reduce the quality of the air you breathe at home, and you might end up being constantly exposed to contaminants and allergens. Only a trained technician can clean the whole system, including such components as condensing coils and blowing motor. When dust coats the working components, it reduces their efficiency and also makes them overheat. As already stated, diminished efficiency means working for longer periods of time and causes both premature failure and higher energy bills. The airflow in your home is controlled by dampers in your ductwork. If one of them gets stuck closed, not only will it obstruct the airflow in that particular duct, but will also affect the airflow in the rest of your home. However, in case all your dampers are fully open but you can’t feel any air coming through, there might be a physical obstruction blocking the airflow. 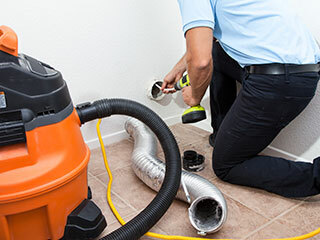 If you’ve recently done any construction work or remodeling, it might be wise to hire a professional to clean up the debris inside the ductwork and restore the airflow. If you suspect to have any of the above, let our experts take care of the problem professionally, efficiently, and affordably.